a) Your page title should contain your keywords. b) Make sure your page title should not be so long , as longer page titles cannot be search by search engines. c) Try to keep your keyword in the beginning of the page title. d) If you are a big rand ,include your company name at the end of your page title so that people can search you via brand name. Meta data is defined as a text which is mainly seen as the description of site in search results. These words mainly attract the attention of visitors. Metadescription refers to the short summary of the your web page .Meta description is mainly used to provide a small description of the page to the searcher. If meta description is not used in the source code ,then search engine will display any part of content from the page. Heading refers to text which appears to be larger or more prominent than other texts on your page. In your HTML page you can check it by looking for <h1,h2,h3>tags surrounding it.You should include keywords in your headings.<h1> text is more bigger than <h2>text ,<h2> text is bigger than <h3>. Therefore we only use <h1 > tag for the headings and <h2>,<h3> tag is mainly used for paragraph writting. Images on web page makes your page more impressive.Some times more picture on your webpage slow down the loading of your page and thus put bad impact on users .Always use ALT text while using image on your page . ALT text is an Html attribute that can add to your picture so that when search engine is not able to read image ,it can replace the image with some associated text, Always use keywords in your image file name that will help you draw some traffic from image searches. Always make sure google crawl your site more often and this can be done by updating fresh content and publish it in your website. Search engine extract important content such as keywords from HTML page .CSS define as a style ,how your headings,links and other elements of the text should look. MOZ rank is a measure that shows how much online authority your site has. Higher MOZ rank is good for your web page. 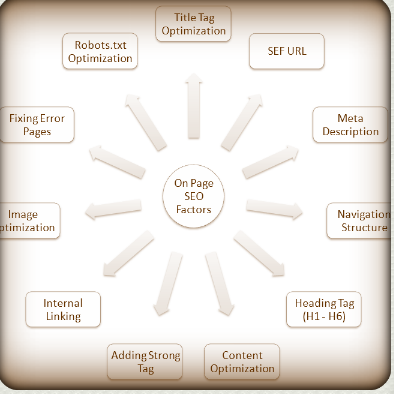 Improvement on your ON-PAGE SEO helps you to improve your rank. 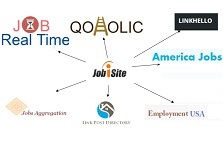 search engine favors that sites that are registered for a long period of time. Long domain registration indicate that this site has lower chance of being spam . Thus try to extend your website registration. URL refers to your web address of your web page . The URL structure of a website is about how different URL’s connect with each other .Improving your URL structure is one of the most difficult aspect of ON-PAGE website optimization and the fixing of these issues mainly depend on the back end parts of your website such as content management system or programming framework.